Unless you live under a rock, you probably already know all about Kenyan-born Australian Senator Lucy Muringo Gichuhi. As it turns out, the Senator is not the only Kenyan taking Australia by storm. 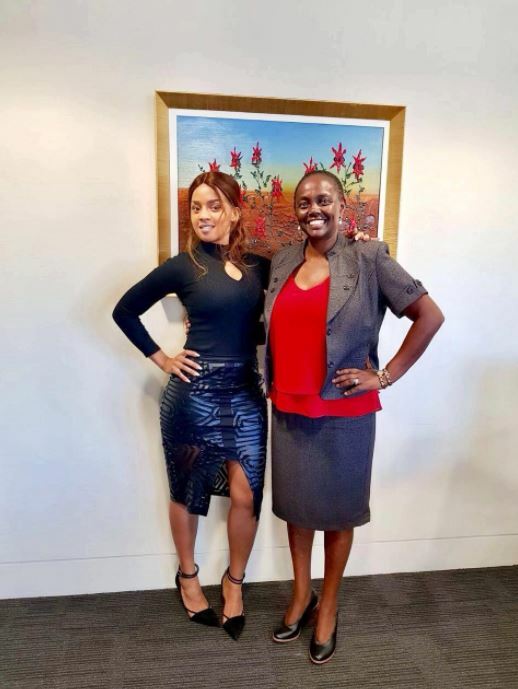 Meet Lucy Goodwin alias Ninny Zerah, a Kenyan bred recording artist and businesswoman doing great things in Australia. Miss Lucy Goodwin is the director of Zhiro premium Wines. She is the first Kenyan-Australian to own an Australian Wine; ZHIRO Pinot Noir Chardonnay, which she named after her mother SHIRO. The wine is doing incredibly well in Australia and a few Africans were lucky to have a taste of ZHIRO in Kenya, as it’s rumoured that Lucy Goodwin had an intimate wine theatre at Hemingways Karen where a few high profile businessmen were spotted. They included C.E.O of Blackrock Capital Investments, Managing Director of the Enterprise Division at Telkom Kenya Kris Senanu, Dr Pam Sitienei C.E.O Onaps Holdings, as well as businessman Edwin Oduk C.E.O Akania investment company and others. 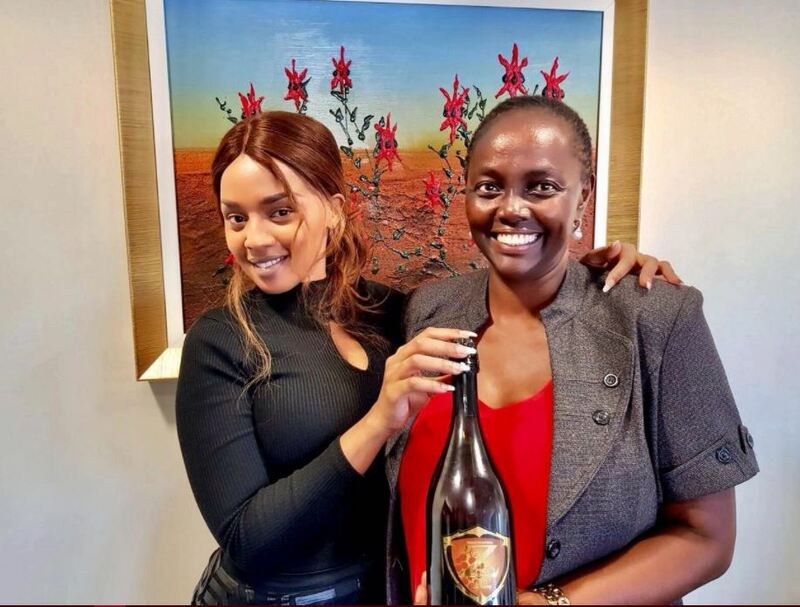 Zhiro Pinot Noir Chardonnay was well endorsed by Senator Lucy Gichuhi. 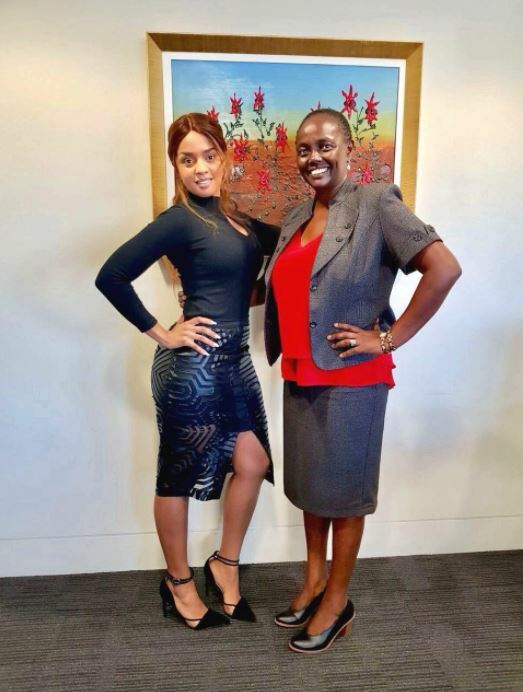 They recently met at her Excellency Hon Senator Lucy Gichuhi’s office in Adelaide Australia. 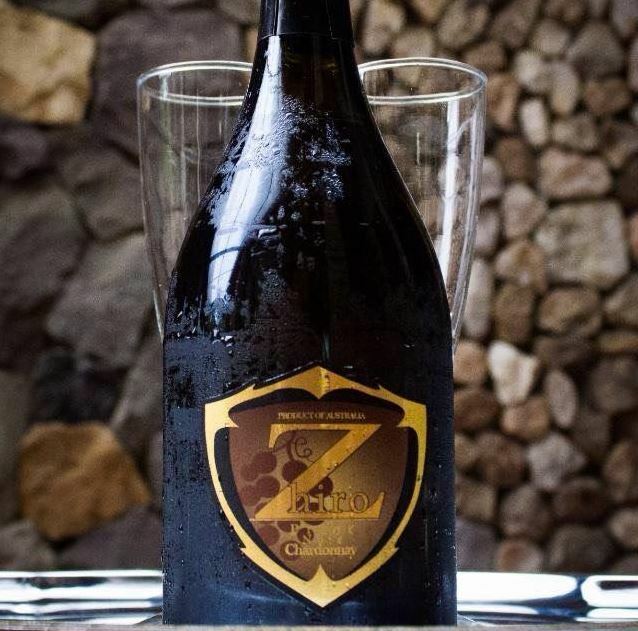 From our source, Zhiro is a dry, delicate sparkling wine of integrity with fine bubbles, lifted aromas of lemon, strawberry and honeyed cream, exquisite flavours layered with freshness, and interspersed with texture and length. It is very significant and sets it at the forefront of sparkling wine. Adelaide Hills is Australia’s premier cool climate wine region where Zhiro sparkling Wines is produced in a vineyard and winery internationally recognised for the production of high quality, highly awarded wines. From our source, a wealth of experience and history has gone into making Zhiro as the vineyard where it’s produced was first established in 1983. Both Lucy’s are taking Australia by storm! Zerah Ninny has as well collaborated with Kidum on a single, ‘Hadi Kifo’ that’s available on YouTube, doubling in support of her endless passion for music.